Sabbath - goyur group, inc. The question of the Sabbath and the proper observance is a divisive topic among scriptural scholars and believers alike. The scriptures clearly dictate that the Sabbath (weekly day of rest) is a Qodesh (set-apart or holy) day that the creator rested on and thus is a day of remembrance each week for all time. These are clear commands from YHWH Elohim to keep the Sabbath for all time. So the question can be asked; why are we no longer keeping the Sabbath? This is because the Sabbath was moved from the last day as commanded by YHWH Elohim, to the first day of the week as commanded by the Holy Roman Catholic Church (HRCC). More than 300 years after the death of the Mashiach (Messiah), the pagan, sun worshipping, Roman Emperor Constantine (see origins of Christianity) named himself Bishop of the Catholic Church and enacted the first civil law regarding Sunday observance in 321 CE. A. We observe Sunday instead of Saturday because the Catholic Church, in the Council of Laodicea, (CE 336) transferred the solemnity from Saturday to Sunday…. The HRCC had no scriptural authority, but claimed the power to do so by the divine right bestowed on it by their Jesus Christ, which was another instance of mixing the Hebraic truth with the pagan traditions. The claim of the resurrection of the Mashiach being on Sunday is another one of such alterations by the HRCC and can be clearly seen when viewing the Greek or the Strong’s concordance, which is an index of Scripture so that any translation can be independently checked against the source material. Definition: the Sabbath, a week. ​The proper translation of the phrase is one of the weekly Sabbaths. Instead of translating “one,” it was mistranslated “first” and instead of translating “ weekly Sabbath” it was mistranslated “of the week.” This was intentionally done to allow the HRCC to move the Sabbath of the week to the first day of the week, Apollo’s (sun’s) day. ​Now that the Sabbath is clearly established as the 7th day, the proper day of the week must be considered. One might assume that simply observing Saturday is synonymous with the 7th day of the week. This is inaccurate, as the Hebrews kept their seasons and feast days based on the Khanok (Enoch) calendar which was based on a 364 day solar cycle and the calendar that is largely utilized by the world is a Gregorian calendar based on a 365 day cycle. This calendar was a priestly calendar for the Hebrews and was the same calendar used by Noakh, Abraham, and Ya’acob, given to Khanok by the malakh (messenger or angel) Uri’el. The calendar stayed intact for the region until the 2nd temple period around 200 CE when the new moon calendar of the Greeks was imposed on the citizens of Yahudah adopted by most during the conquest of Alexander the great around 400 BCE. Most nations accepted this new worship ​under the Authority of Antiochus IV, son of Antiochus III or Antiochus the Great who had an unsuccessful campaign against the Ptolemaic Kingdom in Egypt and whose dynasty cemented the Seleucid Empire, before calamity struck near the end of his reign, in his war against Roman Empire. One of the last nations to resist this authority over the keeping of time was the Hebrew Yisra’elites who opposed the Hellenistic indoctrination by the Greeks, which tried to force them to forsake their own worship system in favor of the King’s commands. The Hebrews were given an ultimatum, either they put away their laws and adhere to the customs of the Hellenists, or they would be put to death. Many Hebrews adopted the traditions of the Greeks in order to save their lives and those of their families and those who didn’t were put to death as promised. The celebration of the “Birthday of the Month” was forced on the Hebrews for observance each month at the sign of the first crescent of the moon. ​King Antiochus IV banned the Khanok Calendar and all religious practices by the Hebrew people and then proceeded to dedicate the recently constructed 2nd temple to Zeus, the Lord of Heaven or Ba’al Shamen and forced the Hebrews to worship Zeus and participate in the festival of Dionysus or the son of Zeus, who was called Bacchus by the Romans. The Maccabean revolt as told in the Book of Maccabees, was the result of King Antiochus’ sacrificing of swine (a prohibited animal to the Hebrews) on the altar. and everyone should leave his laws: so all the heathen agreed according to the commandment of the king. Yes, many also of the Yisra’elites consented to his religion, and sacrificed unto idols, and profaned the Sabbath. The Hebrew people were subjected to the rule of King Antiochus who forced them to forsake their own customs for those of his reign. They had their temples profaned, their own sacrifices prohibited and their festival days ignored. Any who defied the edict of the king were killed and since the gentile nations all accepted this edict, the king placed his people to oversee the vassals of his empire and ensured that the sacrifices and festival days he ordained would be obeyed. The festival days inserted into the Romulus/Julian calendar with the Gregorian calendar of the King still in practice to this very day as seen in the Book of 2 Maccabees 6:7 “And in the day of the king’s birth every month they were brought by bitter constraint to eat of the sacrifices; and when the feast of Bacchus was kept, the Yahudim were compelled to go in procession to Bacchus, wearing wreaths of ivy.” Dionysus or Bacchus is the son of the Greek god Zeus and is also the god of wine/pleasure and festivals. 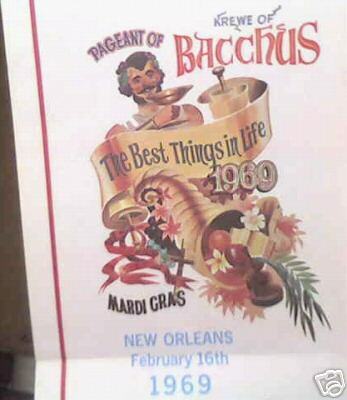 His day is was invented and honored as March 15th and is celebrated in the name of Mardi Gras in the United States where they still have the Bacchus Parade each year. The Hebrew New Year’s Day of March 20th where it is green and the spring season begins. The Book of Yobelim (Jubilees) was amended at this time around 200 - 100 BCE and noted the occurrences of the Book of Maccabees. The revolt by the Lewite priesthood or the Maccabean Revolt opposed the tyranny of King Antiochus with initial success, but much later in 359 CE Hillel II (also known simply as Hillel held the office of Nasi of the ancient Jewish Sanhedrin between 320 and 385 CE) introduced the fixed New Moon calendar that is based on the combining observations of the earth, moon and sun and is still in use by Judaism even to this day for the determination of the first day of the month. The term “New Moon” or “Yareach Chadash” is not found in the Hebrew Scriptures anywhere and the word “Chodesh” or “month” is in reference to the Solar Month. This is another case of intentional translation errors used to support doctrines as the word “Chodesh” which can mean either “Month” or New Month” and the word “Chadash” which means “New” were switched. The word “Yerach” which means “Month” in reference to a “Complete Month” and the word “Yareach” or “Moon” were switched as well and these mistranslations have been the cause of much confusion in many versions of the scriptures as the only mention of the “Moon” is ordinances to not worship them. The Khanok Calendar is based on the sun and the stars that is divided into 364 days a year and perfect 24 hour days. The Julian and Gregorian Calendars utilize the stars, which are the zodiac constellations that are ruled by the “gods” and specifically the star Hamal or HamEl in the Aries constellation, which is the “Equinox Star,” that has 365 days in a year and days that are 23 hours, 56 minutes and roughly 5 seconds long. The Mistrians (Egyptians) revered this constellation as the “Horned Ram,” which represented their god “Amen” or “Amun Re,” or “Atum Ra” (also known as “The Hidden One”). The Hebrews were supposed to use the sun to determine their time, not the moon. ​The Book of Khanok states that the years will come into completion in exactly 364 days and that at the end of each year there will be equal amount of day and night. The day where night and day are equal (12 hours each) in Yerushalayim is the last day of the Hebrew year. During leap year on the Gregorian calendar (2016 for example), 366 days are counted and the first day of the year fell on March 20th because as stated before, March 15th or the “Ides of March” was added to create the 365th day of the year. The Vernal (spring) Equinox is the UTC equinox and falls on March 20th usually. This is confirmed by the megolith structures such as Stone Henge, Pyramids of Giza and such.